One of the most unexpected things that I've gained from losing weight is a new sense of confidence. Not just in my appearance, but confidence to try new situations without being afraid. Before I lost weight, I would have NEVER wanted to go try a brand new exercise class by myself. I've always worked out, even before I started getting serious about losing weight. But I was always pretty self-conscious, standing in the back of classes and always worrying if I was doing things right...if my clothes fit right...what were people thinking of me...blah blah blah. I always had something on my mind. This month I stepped completely out of my comfort zone though and tried a brand new class all by myself and for the first time in a long time...I was not afraid! Maybe you have heard of Orange Theory Fitness before, but if not I'm sure you will soon! It's a newer type of group workout that mixes walking or running on the treadmill, rowing, and circuits with different weight, ab and even TRX moves all into an hour class. The class is very focused on your heart rate and they switch up the intensity levels often to try and keep you working up a good sweat all class long! 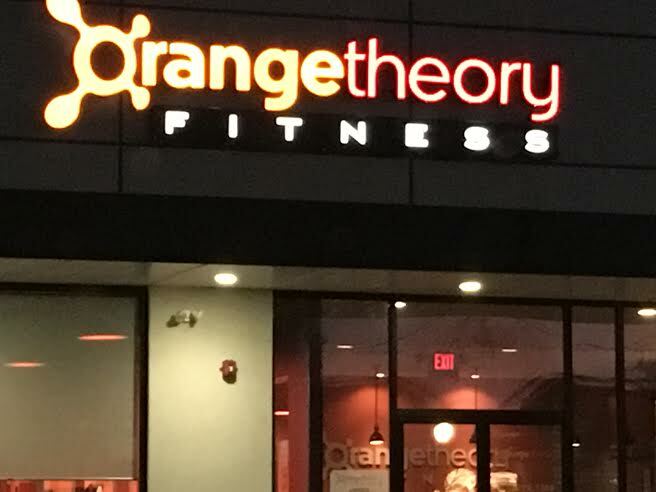 I've seen lots of posts about Orange Theory on Instagram so I finally decided to give it a try this month. I called a local studio and signed up to take a free class. I walked into the studio that night and I have to say...it felt amazing. I was surrounded by tons of other people who had taken this class so many times before but for the first time ever, I wasn't afraid! Maybe I've never taken one of these specific classes, but I workout every day. I knew I was capable of handling whatever type of workout the trainer was going to put me through! I wasn't worried about having to be the best in the class, I just knew that as long as I did my best and got a great workout in I would be happy with myself at the end of class. And I was!!! As I mentioned before, the class is very focused on what your heart rate. You wear an Orange Theory specific heart rate strap and everyone's heart rate is displayed on a TV screen in the center of the room. I found it really annoying to have to constantly be looking up at the screen to check my heart rate so I was really glad that I was wearing my Polar A360 so I could just glance down at my wrist to see a summary of what my heart rate was at currently and how many calories I had burned so far. Especially when the trainer told us to bump the incline of our treadmill up to 10% and sprint as fast as you could for 30 seconds....yeah. 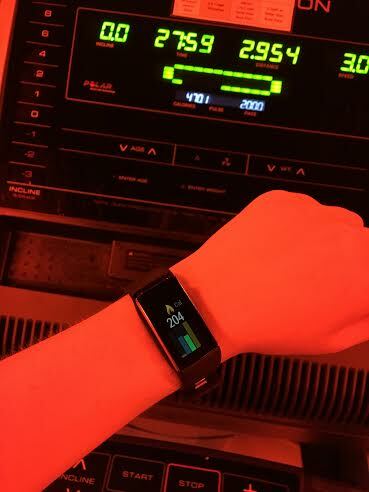 That was crazy, there was no way I could focus on sprinting at that high of an incline AND be trying to peer around the other people on the treadmills next to me to see what my heart rate was, but it was easy enough to be able to glance down at my Polar! Same thing when I transitioned off of the treadmill and into the rowing/circuit training section of the class. I was running back and forth between the rowing machienes and the weight section of the class trying to fit all of my reps in during the limited time we had, it was so much easier to just glance at my Polar to check in on my progress. I felt amazing after class was done. I burned over 500 calories in one class and I was so proud of myself for trying something new without any fear. Since I work out so much it gets boring to do the same thing every day! 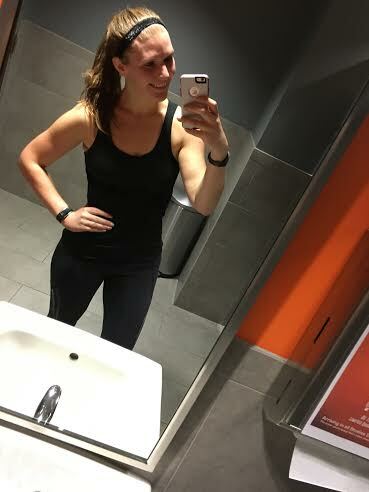 I was so glad that I no longer have to let my own insecurities keep me from trying new workouts that I really could enjoy. I loved having my Polar with me during this experience as well...and GOOD NEWS! I have a discount code for YOU to use on almost any Polar product! 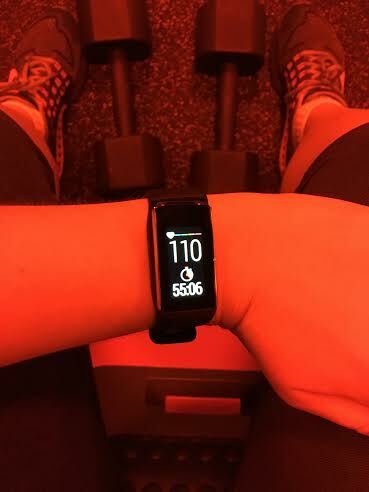 (The A360 is excluded since it is brand new) Use code POLARFITBLOG (case sensitive) for 20% off any Polar Heart Rate Monitor or activity tracker at Polar.com. But act fast! Code expires 12/31/15!!! Do you have any firsts related to health or fitness? Would you be brave enough to walk into a brand new workout class to try out all by yourself?